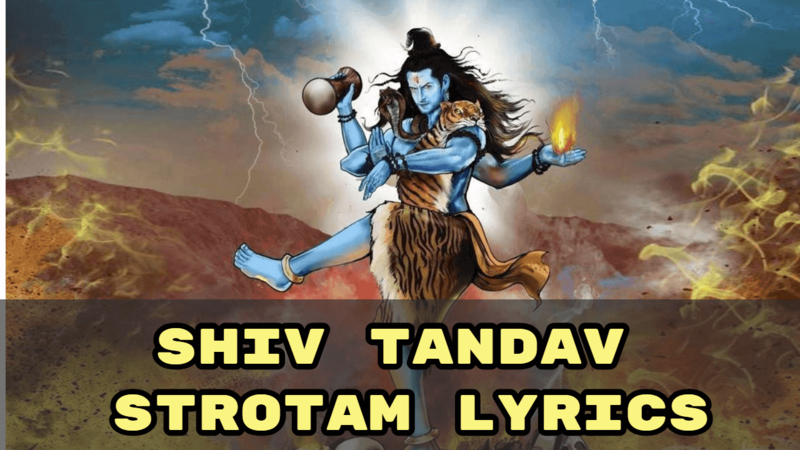 Hello and welcome to another post where we are posting shiv tandav stotram lyrics. Now before we post the lyrics of shiv tandav stotram, there are few things we would like you to know. We are posting this time something devotional. Shiv tandav stotram is actually a prayer or we can say a song which is sang to describe the hindu lord Shiva. The song lyrics revolves around the details of lord Shiva’s looks and his personality.It also makes us understand the powers and the capabilities of lord Shiva. We are posting three versions of it.One is, shiv tandav stotram lyrics in hindi where we have posted all the lyrics of songs in hindi with meaning.Second is, shiv tandav stotram lyrics in English where the lyrics are in English with meaning and third is, a written document of shiv tandav stotram pdf. So without doing any further ado, let’s jump straight into it. विमोहनं हि देहिनां सुशङ्करस्य चिंतनम् .. १६..
यः शंभुपूजनपरं पठति प्रदोषे . लक्ष्मीं सदैवसुमुखिं प्रददाति शंभुः .. १७..
all-persuasive (the directions are his clothes). flowers from the rows of heads of all the Gods, Indra/Vishnu and others. of new moon night covered by many layers of clouds. the God of death, Yama. breath of the snake wandering in whirling motion in the glorious sky. and devoted in the God with glorious forehead with vibrating eyes. gets purified for ever, and obtains devotion in the great Guru Shiva. Lord Shiva indeed removes the delusion. Thus ends the Shiva-Tandava Stotra written by Ravana. So this was shiv tandav stotram lyrics.We hope you will get closer to meaning of shiv tandav stotram lyrics and will benefit yourself from it. We will see you into next post.